We provide product support services for registered owners of Grooming Business in a Box® books. When you purchase these products direct from Find A Groomer Inc., you are automatically registered. There is never any need to register a copy of the From Problems to Profits book we offer. If you have purchased one of these products used from a previous owner you may contact us and we will attempt to assist you. What are the digital files that come with Grooming Business in a Box books? 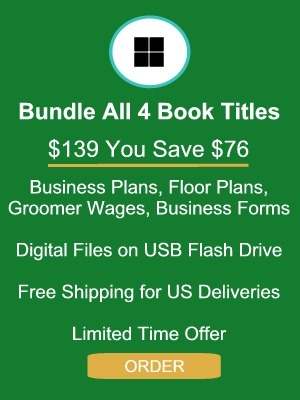 All four Grooming Business in a Box® books come with a USB Flash Drive with digital files related to each title. The digital files include Excel® spreadasheets, Word® and PDF documents, JPG artwork and SmartDraw® floor plans. Use the Products link here to access detailed information about each Grooming Business in a Box® book title including a list of all digital files. We provide Word and Excel files in 2003 format to assist those users still using older versions of Word and Excel. All are upwardly compatible with newer versions of these programs. What if I have a MAC computer? MAC users: You should have no problem using these files as long as you have a compatible program that runs Excel and Word files on a MAC. Can I unlock protection settings on the Excel spreadsheets? 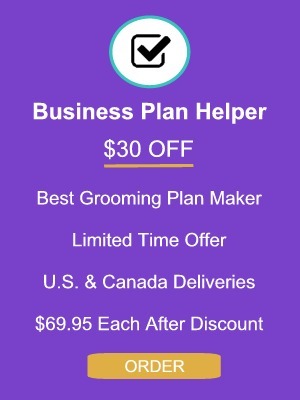 Pet Grooming Business Helper & Sampler uses spreadsheets extensively. We use protection tools provided by spreadsheet programs to prevent users from making changes to our spreadsheets. Even changing one formula can be catastrophic to our financial statement accuracy. However, some advanced users may want to change text labels, such as renaming “Service Income” to “Boarding Income,” or perhaps renaming operating expenses, such as “Telephone” to “Phone and Internet.” Therefore we do allow you to remove spreadsheet protection with this warning, we suggest you only change text labels if absolutely required by you, and never change any formulas! To release spreadsheet protection Excel will ask for a password we assigned. It is the word, “Poodle” and it may be case sensitive. Can I get more specific help with my business plan? Beginning in 2016 we greatly reduced the availability of our grooming consultation services we have provided since 1990. We give first priority to over 3,000 existing clients who have previously used our consultation services. 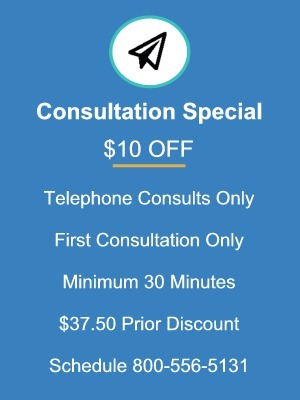 You are welcome to call or email a request for our consultation services and we will let you know our availability. Our rate is $75.00 an hour with a 30 minute minimum charge. Rarely do clients need more than 30 to 60 minutes per incident. Will your write my business plan for me? We do still write pet care industry business plans for clients, but on a limited basis by appointment. Fees begin at $1,500 which includes 5 hours of telephone consultation to collect the information we need about your projects, goals and many other facets of your pet care operation. We then spend at least 40 to 60 hours word processing and compiling your financial spreadsheets. The fee includes two final copies of your printed business plan. You also receive a copy of the Business Plan Helper & Sampler product with all the digital files we completed on your behalf. We have written over 650 plans for pet industry members in the last 20 years. I lost my Grooming Business in a Box® flash drive. Can I get a replacement? Please call our office or send us an email and we will attempt to verify your registered owner status and arrange a replacement. There may be a nominal fee to postal mail a replacement flash drive. If you require the user guide printed manuals as well there will be an additional charge. When will you be releasing an updated version of From Problems to Profits book? We are working on an early 2019 revised and updated edition in e-book format. Are any of the Grooming Business in a Box® titles available as e-books? Not yet. We may release them as e-books before 2019.